The TASCAM SS-R250N is the ideal SD card recorder/players for virtually any installation. 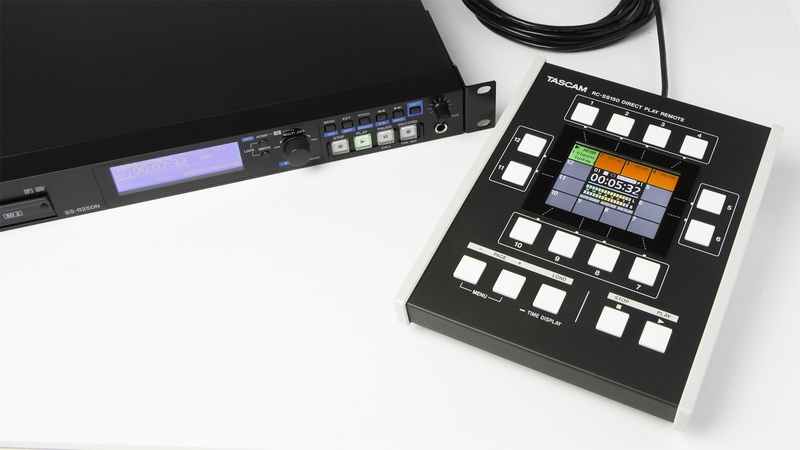 Extensive I/O – including balanced, unbalanced and DANTE interconnectivity – are joined by a studio quality microphone preamp with phantom power and ducking. Audio may be recorded to SD Card or USB stick and uploaded automatically to your desired FTP server. 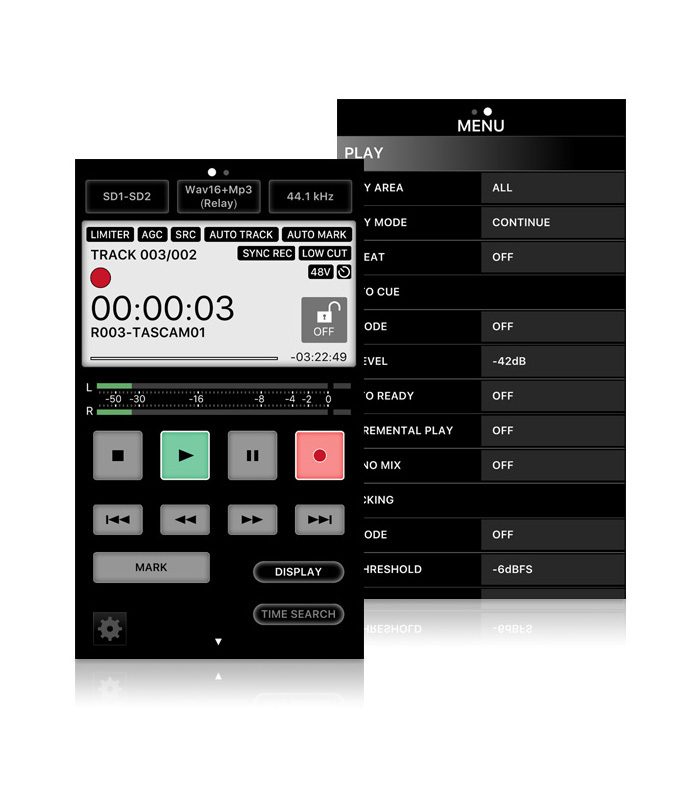 In addition, recording and playback can be controlled via SNTP, network control, the optional RC-SS150 remote control or the free iOS/Android app. The SS-R250N is the ideal SD card recorder/player having a variety of features with extensive terminal equipment applications and business applications. An FTP client function is added which enables the exchanges of sound source data with others via server communication. You can also keep the starting time accurate for recording and playback based on time management via SNTP. The remote control with the dedicated app on a iOS/Android/ Windows/Mac device, and the mic inputs are also available on the unit which allows you to use in many ways with flexibility. 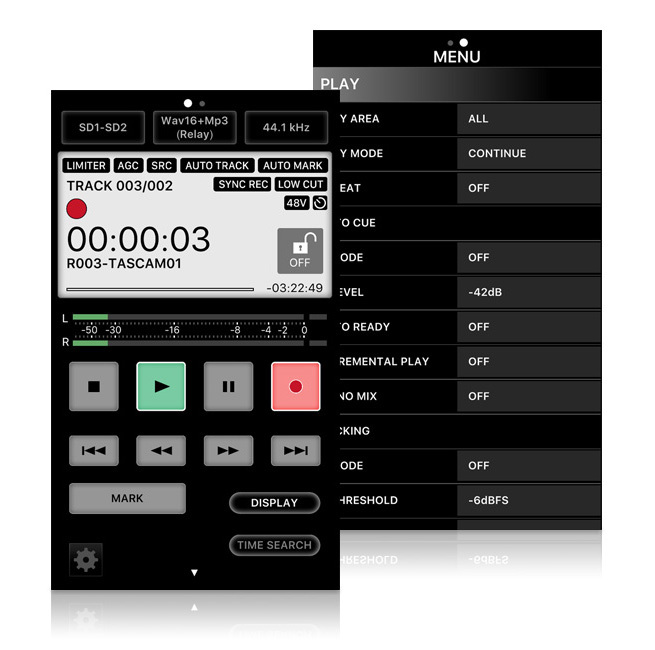 The dedicated APP "TASCAM SS250 CONTROL" is available for free download. The APP for iOS/Android is available onApp Store/Google Play. For Windows/Mac, the APP can be downloaded from TASCAM website. 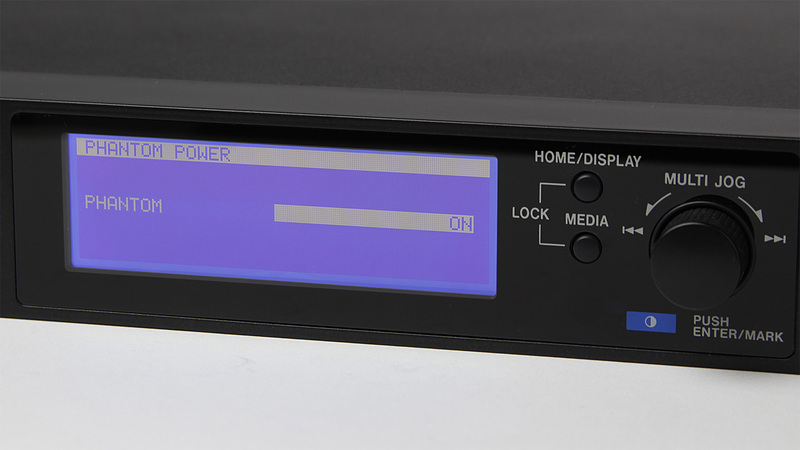 The unit is equipped with a LAN terminal for easy network connection to an FTP client, enabling you to upload recorded files from the SS-R250N side or download sound files from the server. As the SS-R250N also also acts as an FTP server, you can also upload / download from a PC side without having to physically exchange SD cards. The Event List function contains an auto-play feature deisgned for audio files such as background music and announcements, perfect for use in a retail setting or restaurant. 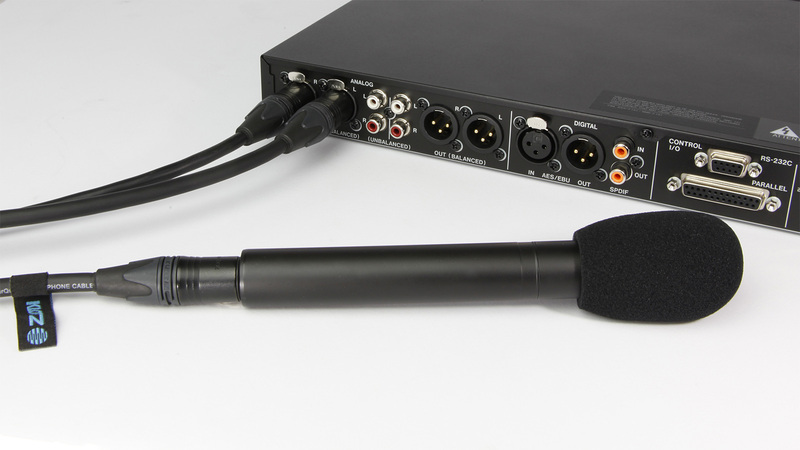 This Event List can also be used to to schedule recording and file upload which makes the TASCAM SS-R250N the perfect recorder for town hall meetings, board room installations and government jobs. When operating on the same network, the SS-R250N can be controlled by an iOS / Android mobile device for remote status updates and transport control. In addition to the front panel USB port, the SS-R250N will record to – and play back from SDXC cards, as well as SD/SDHC with capacity of up to 128GB. 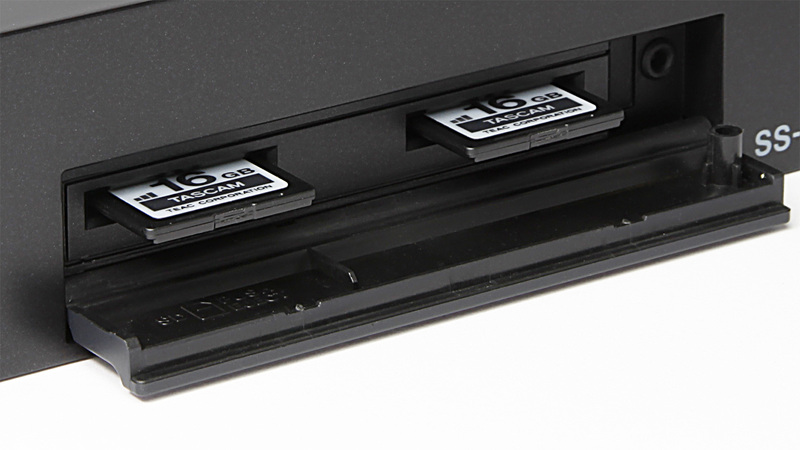 Dual SD card slots can be used for backup recording, which records the same data on two cards simultaneously, or chain recording in which the system automatically begins recording on the second SD card when the first card has reached capacity. While recording, the TASCAM SS-R250N automatically saves and closes the file every few seconds to safeguard against data loss. 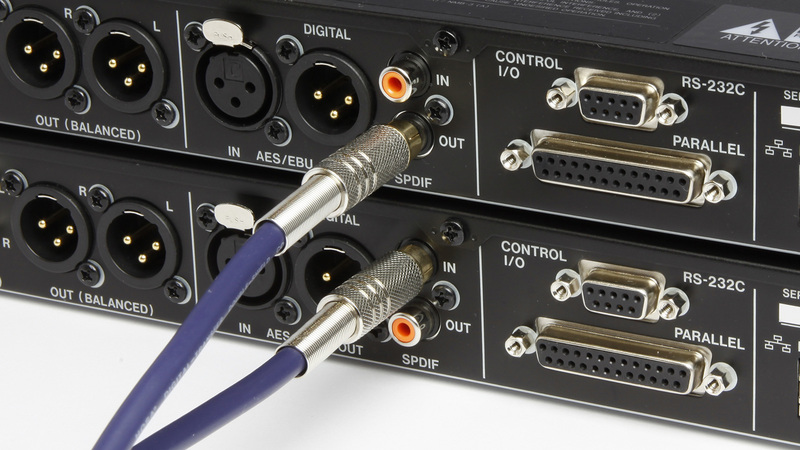 The link playback function allows syncronized operation of two units, connected using S/PDIF. Ideal for critical situations where a backup is required, both units will record in sync, but also be able to operate independently if the need arises. The SS-R250N is equipped with a wide array interface options to make it fast and easy to integrate into any touring, install, or live sound application. Dual microphone inputs on the rear panel feature +48V Phantom for condenser and dynamic microphones. The SS-R250N also features an integrated ducking circuit making this unit idea for a wide variety of paging, background music and public address applications. Equipped with both a D-sub15pin parallel terminal and an RS-232C serial terminal for external control, the SS-R250 can integrate quickly and easiy into virtually any system. 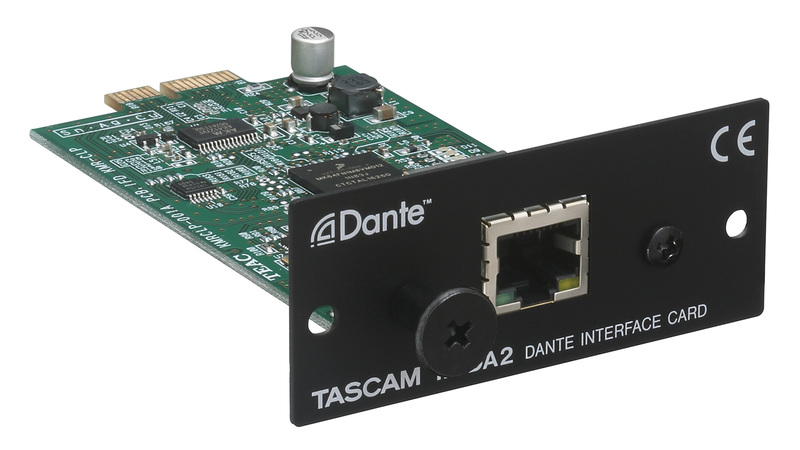 With 2-channel Dante support, the TASCAM SS-R250N can be easily incorporated into any Dante network audio environment and also makes the SS-R250 one of the least expensive Dante interfaces available. By connecting the optional RC-SS150, you have instant acccess to up to 92 sound effects, commercial spots or music cuts. Those familiar with previous models such as the TASCAM SS-R200 and SS-CDR200 can rest assured that playback (incremental play, auto-track, auto-cue, auto-ready) and recording functions (such as sync recording) are all present and accounted for.